Come and join the Straybirds and friends as we find our dancing feet in our all new summer set. We sing out some classic jazz swing numbers, performing alongside our special guests as they bring their high energy moves to the dance floor. So… anyone for a quick lindy hop? Now for the small print. Tickets are £5 each, with all proceeds going to the Willow Street Primary School Pool Appeal. As usual there will be a (cheap) bar run by the school’s PTA. Doors open at 7.30pm with the music starting from 8pm. Bring your friends, family and neighbours! Well, its been a busy few months. We’ve been preparing some material for a fabulous opportunity we were given. We were included in a weekend choir showcase by Singing For Pleasure in Nuneaton which took place at the beginning of April. It was a fabulous event, with 17 choirs performing and receiving feedback from two esteemed and well respected adjudicators. ‘Straighten Up an Fly Right’, which is a song written in 1943 by Nat King Cole and Irving Mills but has been sung by a number of people over the years. Nat King Cole sang the original version, The Andrews Sisters did a cheeky version a few years later and more recently Natalie Cole reprised it. Its a tricky little number, but very funny and you get to see the Straybirds sass (like that never happens). ‘Steal Away’ is a beautiful gospel standard, full of soulful harmonies and according to Wikipedia was composed by Wallace Willis, Choctaw freedman in the old Indian Territory, sometime before 1862. We love it because of those harmonies and our lovely Kristy and Jo sing small solos towards the end. ‘Somewhere Only We Know‘ is a well known, and much loved song by Keane from 2004. Jane and Jennie started us off with a beautiful duo followed by the choir in harmony which goes right through to the end of the song. We’ve had this piece in the bag for a while, but we really feel as though we kicked it up a notch for the Choir Weekend. So how did we do? Well everyone was very complimentary and we got a lot of lovely comments from the other choirs. We benefited from a tea break right after our set so we came off the stage to our awaiting crowds who were cheered on by tea and cake. The comments we received from the adjudicators were equally as complimentary. We were described as cool (and young! ), and they liked our singing as well. Of course no Straybirds weekend away could be complete without a good night out and we certainly had that. Many thanks to Aaron at The Griffin for rounding off a very memorable night by starring in a very hilarious video explaining why we couldn’t take alcohol off the premises. Aah choir weekends… never dull. A huge, no, wait – huuuuge – thanks and well done to all performers and support peeps involved in our New Year, New Song concert last Saturday. Best gig ever. “So ridiculously proud”, according to Neil – and we second that. New Year, New Song! We are more than a little bit thrilled to announce our upcoming gig. A sparkly mix of pop, spiritual, classical and opera, led by our very own Neil Balfour. With three exciting special guests to introduce … Charlotte Trepess, Ewan Gilford and Craig Lees. Who needs Black Friday when there’s a great big glittery Straybirds deal right here?! A huge thank you from the Straybirds to all those who supported our Summer Splash concert last night. Over a hundred lovely people bought tickets, Adam Tucker delivered a gorgeous acoustic set, Catherine Baxter provided sparkly piano accompaniment, Neil Balfour conducted with his usual dynamism, Clark Howard Music were seriously sassy on drums and bass. Thanks also to the PTA for grand job at the bar and to Summer Elbortoukaly for her colourful bake sale. We raised over £1000, so corporate fund matching would bring our total to over £2000!! With just ONE day to go before our Summer Splash fundraiser gig, Straybirds are excited to reveal a sneaky peak of our programme. The set includes gorgeous harmony arrangements of tracks by Des’Ree, Coldplay, U2, Keane, Ed Sheeran, John Legend… and also features an unusual medley of songs that we guarantee you have never heard before! Please support our chosen charity – the Willow Tree Primary School swimming pool fundraiser – and help us get 500 local children swimming again. This Sunday, 12 June from 7.00 pm, tickets from our Ticketsource page. There is an outstanding video here, made by the children of Willow Tree Primary School asking for community help. In the words of the children, “Thank you for watching, we hope you can help”. Join the Straybirds and friends for their summer concert, in aid of the Willow Tree Primary School Pool Appeal. Once again we will entertain you with a range of eclectic world music and some super smasher pop hits. 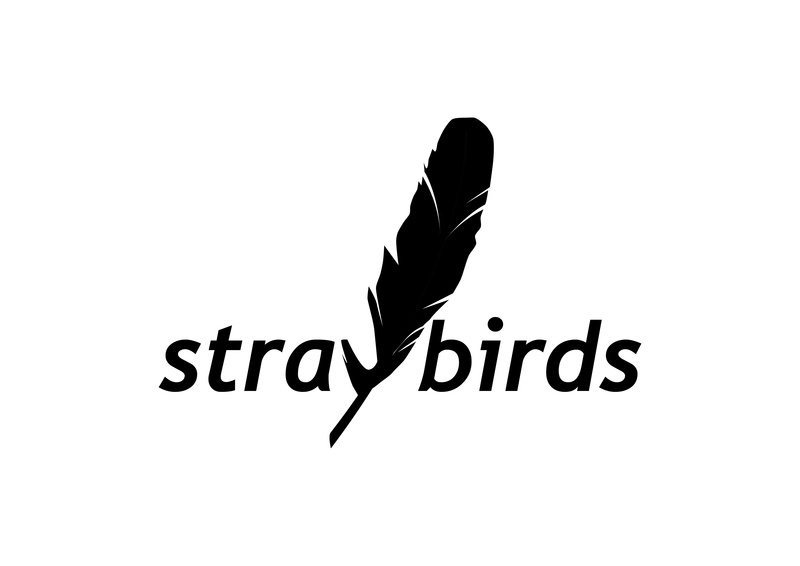 It wouldn’t be a Straybirds gig without a pay bar, with all proceeds from your purchases going directly to the School PTA. Its going to be a fabulous night.